Since the initial election of Mahmoud Ahmadinejad in 2005, Iran has become one of Venezuela’s most durable allies. But as this self-described “Axis of Unity” has developed, a predictable group of detractors has emerged. In a widely noted September op-ed in the Wall Street Journal, long-standing Manhattan District Attorney Robert Morgenthau argued that this alliance between “two of the world’s most dangerous regimes” has supplanted Iraq and North Korea as the new Axis of Evil. Secretary of State Hillary Clinton has somewhat more cautiously echoed Morgenthau’s diagnosis, describing the relationship as “quite disturbing,” and not in the U.S. national interest. These responses continue to employ a black and white logic of friend and foe that defines the ties between Venezuela and Iran solely as a function of their opposition to the U.S., effectively reducing them to allies, and nothing else, in a zero-sum game of competing geopolitical interests. However, others might argue that Washington can no longer afford to view the two countries through the Manichean lens of the Bush Doctrine, which dictates “You are either with us or you are against us.” It is easy to make the error of defining Presidents Chávez and Ahmadinejad in terms of their proximity or distance from U.S. interests, without offering a more nuanced and substantive understanding of the individual social and political projects on which they can be better judged. Only a deeper analysis of the motivations behind the budding relationship between Venezuela and Iran will allow policy makers to constructively engage them as growing regional powers, with rational goals that make sense for their own national interest. Ahmadinejad likes to present himself as a Middle Eastern counterpart to Chávez: a populist whose standard stump speech invariably promotes the rights of the working class and the poor. But questions must be raised regarding exactly how similar are their policies, and in light of this, why Chávez has afforded Ahmadinejad near limitless support. Ultimately, Venezuela’s relationship with Iran may best be delineated as a rejection of the historical dominance of Western powers and the irreverence, if not contempt, they all too often have shown to the developing world. Nonetheless, uncritical support for Iran, based only on a rejection of perceived Western imperialism, without reference to the low points of Tehran’s domestic policy, can only injure Chávez’s already deeply controversial reputation and further obscure his actual and notable accomplishments. While the shared struggle against imperialism is important, it alone should not provide a wide enough foundation for a relationship of the magnitude that now exists between, according to Washington’s perspective, the two pariah nations. The beginning of a wonderful friendship? Hugo Chávez has been courting Tehran’s leaders since his election in 1998. Former Iranian President Mohammad Khatami and Chávez had a strong rapport, exchanging multiple visits and constructing a strong foundation of bilateral economic agreements in energy, housing, and agriculture, among other sectors. Both of the countries were founding members of OPEC, the Organization of Petroleum Exporting Countries, and maintained a mutual interest in stabilizing oil prices and politicizing the bloc to be more responsive to the needs of the developing world. In 2005, Chávez awarded Khatami Venezuela’s highest medal, the Order of the Liberator, as a token of their increasingly close ties. Iran reciprocated by awarding Chávez the Islamic Republic Medal, the highest state medal of Iran, and supporting Venezuela’s failed attempt to assume the U.N. Security Council’s rotating seat. However, since the election of Ahmadinejad, an already burgeoning alliance has fully blossomed. Nuclear energy, to which Chávez has long supported Iran’s right to develop, has proved to be a major incentive in the development of their relationship. Iran’s clandestine nuclear program was shut down by Khatami after its existence was revealed in 2003. The program was revived with Ahmadinejad’s ardent support shortly after his election. In 2006, Venezuela was one of three countries in the International Atomic Energy Agency (IAEA), along with Cuba and Syria, to vote against reporting Iran to the U.N. for suspicions that its nuclear program was directed to ends other than energy. Chávez often speaks of a desire to develop a peaceful nuclear program at home, most recently announcing his ambition to create a “nuclear village” in Venezuela with Iranian assistance. A recent joint survey by the two nations has elaborated upon uranium deposits in Venezuela that will reportedly be put to this end. At September’s meeting of the U.N. General Assembly in New York, President Barack Obama’s speech was primarily dedicated to reproaching Iran for the direction of its nuclear program, again, after the discovery of another undeclared nuclear plant. Iran recently disclosed the existence of a new uranium enrichment facility near the city of Qom and opened it to IAEA inspections, but only after learning that the U.S., U.K., French, and Israeli intelligence services were about to release this information themselves. Washington and Israel have used the existence of this plant to justify allegations that Iran will soon be capable of manufacturing a nuclear weapon. One of the potential sanctions to be levied against Iran would severely restrict its gasoline imports, for while Iran possesses enormous reserves of crude, it lacks the refineries to process it. However, the recent Iran-Venezuela deal to import 20,000 barrels of gasoline per day makes it perfectly clear that Venezuela is willing to actively subvert U.N. attempts to reprimand Tehran. Such maneuvers by Venezuela and Iran in protest of the asymmetrical Western attitude on rights to nuclear weapons and energy can be anticipated with a high degree of predictability. As a party to the Nuclear Non-Proliferation Treaty, Iran is guaranteed the right to a peaceful nuclear energy program. Furthermore, as long as the U.N. upholds the right of Israel, India, and Pakistan to possess nuclear weapons, it will be difficult to convince hardliners in Tehran to dismantle their nuclear program, peaceful or not. This is not to suggest that ties between Venezuela and Iran have been limited to matters of nuclear energy. There are now joint ventures in Venezuela for the production of tractors, “atomic” bicycles (a joke by Chávez regarding Venezuela and Iran’s nuclear ambitions), “anti-imperialist” (another, less comical this time) cars, and the two have signed numerous bilateral economic agreements that range from energy and oil, to agriculture and science. In opposition to the G-20 meetings of global financial elites, Iran and Venezuela have announced the “G-2” Development Bank, based in Venezuela, with an initial funding of $1.2 billion, which will be used to challenge the fiscal hegemony of Western nations in providing aid to developing countries. 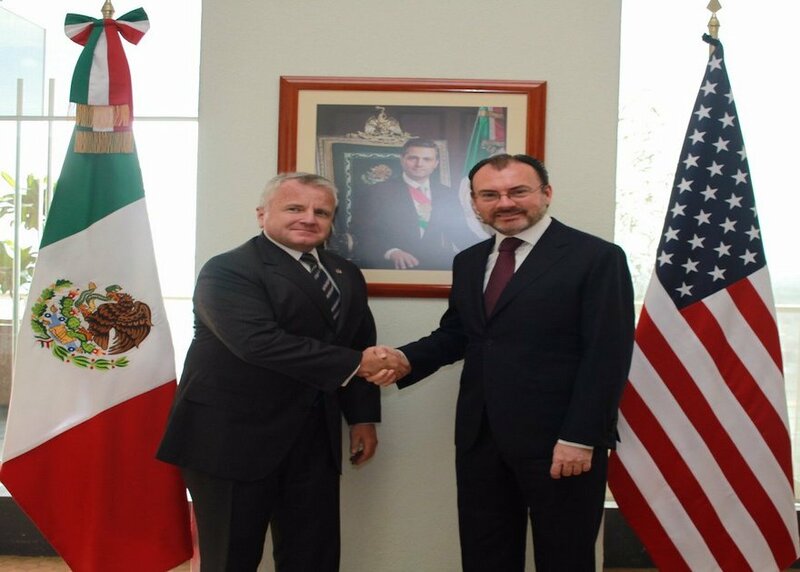 The two have entered into military agreements that include the “training and mutual exchange of military experiences.” And most recently, Venezuela and Iran, along with Russia, proposed to replace the U.S. dollar as the standard for international oil transactions. The explanation for why Chávez continues to align himself with Ahmadinejad depends on an evaluation of the successes and failures of the Iranian leaders’ domestic policies, and whether they pursue the same social ideals as Chávez’s Bolivarian project. An outspoken figure, Ahmadinejad is perhaps best known for his spouting of a series of controversial declarations, such as a 2007 speech at Columbia University where he asserted that homosexuality does not exist in Iran. However, his most frequent examples of odium are directed at Israel. Ahmadinejad has repeatedly called for it to be “wiped off the map” and makes a divertissement of denying the Holocaust. While Ahmadinejad’s denial of the Holocaust is irresponsible at best, taking this absurd claim literally plays directly into his hand. Such an outlandish assertion can only be understood as a ploy to redirect the conversation towards a more general dialogue about genocide, and he admitted as much in a September interview with Katie Couric. In World War II, 60 million people were killed. Why are we just focusing on this special group alone? We’re sorry for all the 60 million people that lost their lives, equally. All of them were human beings. And it doesn’t matter whether they were Christians or Jews or Buddhists or Muslims. They were killed. So, we’re sorry for everyone. Chávez has reiterated Ahmadinejad’s contention about Holocaust in more explicit terms. I do not deny the Jewish Holocaust. And I condemn it. But in South America, when the Europeans arrived, there were close to 90 million Indians; 200 years later, we only had 4 million remaining. That was a holocaust. And the Europeans denied this holocaust. Chávez and Ahmadinejad question the selective appropriation and politicization of humanitarian causes. Why does Israel continue to receive extraordinary and uncritical support from the U.S. when so many other “Holocausts” remain unspoken for? Ahmadinejad’s denial of the Holocaust, while politically irresponsible, may be more of a rhetorical trap set to interrogate one’s allegiances rather than a particular attempt to promote anti-semitism. Here it is important to distinguish between a possibly justified criticism of Israeli policies and anti-semitism, as claims of the latter often are intermeshed with the former. Many in the U.S. proved incapable of making such a distinction earlier this year, when, after threatening to break diplomatic relations with Israel in 2006 over the Lebanon War, Chávez expelled the Israeli ambassador and other diplomats in response to Operation Cast Lead in Gaza. An international uproar grew a month later when a Caracas synagogue was desecrated under suspicious circumstances, precipitating an international competition to find out who could raise the charge of anti-semitism loudest, with the media accusing Chávez of playing a deliberate inflammatory role in catalyzing the incident. However, when it later was revealed that the supposed act of vandalism was really a robbery, an inside-job perpetrated by the synagogue’s security guards, the media dropped the subject. Chávez’s diplomatic approach was meant to protest the Israeli military offensive that was condemned as a disproportionate use of force by the U.N.-endorsed Goldstone Report, which accused both Israel and Hamas of war crimes. However, Ahmadinejad’s calls for the destruction of Israel are of an entirely different nature, and a much more dangerous provocation than his denial of the Holocaust or Chávez’s reaction to the Gaza War. While perhaps these incidents are more properly meant as a rebuke to Zionism rather than an anti-semitic act, a call for the destruction of Israel will only narrow the room for fruitful peace negotiations, darkening the prospects of a long-overdue resolution to the conflict between Israelis and Palestinians. Furthermore, Iran’s rather well established ties to the bombing of a Jewish Community Center in Argentina in 1994, in which 80 innocent civilians died, only adds to suspicions of Iran over its motives in supporting such inflammatory speech and even worse actions. While often depicted as a buffoon, Ahmadinejad must be taken seriously and judged on the substance of his policies, for he is neither aloof nor jocose. Elected on famous promises to “bring oil money to people’s tables” in 2005, Ahmadinejad has manufactured a political platform around the nucleus of social justice programs and the redistribution of the country’s massive oil wealth – an Iranian-styled Bolivarian Revolution. The former mayor of Tehran likes to brandish this populist image, often stressing his personal story of a man from a humble background who refused to live in the Presidential palace and continued to drive his old car well into his political career. But Ahmadinejad is hardly a friend of the working class, organized labor, or the poor, and such claims amount only to so much posturing. An examination of Ahmadinejad’s domestic policies will show they radically diverge from the model of social inclusion and equality that Chávez has nurtured now for over 10 years in Venezuela. The widespread privatization of public assets has been Iran’s most striking economic trend in recent years. Article 44 of the 1979 Iranian Constitution stipulates a tripartite economy of state, private and cooperative sectors in which private is meant to supplement the other two as the preferential option. In the wake of the Iranian Revolution and then the Iran-Iraq War, most of the economy migrated under government control. However, the balance has since shifted in favor of privatization and placed emphasis on the importation of private capital into the economy by means of a series of five year economic development plans. In anticipation of the fourth and most recent plan, and immediately following Ahmadinejad’s 2005 electoral triumph, Supreme Leader Khameini reinterpreted Article 44 to repeal limits set on the private sector and to order the privatization of 80% of government assets in so-called “essential sectors.” Ahmadinejad has overseen the most accelerated phase of the application of this historically unsuccessful neoliberal prescription for the mass privatization of public holdings, also known as “shock therapy.” Since 2005, roughly 250 enterprises have gone through the Iran Privatization Organization, the governmental ministry set up to manage the privatization initiatives of the past two five-year plans. In a nation already blessed with great oil wealth, disposable capital is not necessarily the problem. What is needed is the proper oversight and distribution of already existing funds to create programs that will encourage sustainable growth. Privatization is so valued in Iran that it forms the basis for Ahmadinejad’s most significant attempt to redistribute wealth, the Shares of Justice initiative. Created to distribute shares of recently privatized companies, the initiative has been judged ineffective and has provided little more than a cash handout. In its first two years of its life, Ahmadinejad did distribute roughly $2.5 billion in stocks to nearly 6 million citizens. But many predict that such a manner of redistributing wealth will lend itself to easy accumulation by speculators and business entrepreneurs as cash-strapped citizens turn and immediately sell the shares at low prices in a roundabout model of “rigged privatization.” The redistribution of wealth under Shares of Justice could likely resemble the initial phases of Russian perestroika, the transition from a state-controlled to a capitalist economy. Before the program of shock therapy took hold, Russia had 2 million people living in poverty and not a single millionaire. But by the mid-nineties, poverty had claimed an astonishing 74 million Russians, while by 2003, 17 citizens had accumulated wealth into the billions. The new Iranian entrepreneurs most eager to take advantage of the giant “For Sale” sign placed on the country’s economy are the Iranian Revolutionary Guard Corps (IRGC). Formed in the midst of the 1979 revolution, the IRGC have transcended their military roots as ground, naval, air, and paramilitary (the basij, who received so much attention for their repression of students and protestors following the disputed June election) units to form a vast network of power that extends to nearly all corners of the Iranian economy. The IRGC’s foray into the economy began with their rebuilding of the state after the Iraq-Iran war. Since Ahmadinejad assumed power, the IRGC has been awarded over 750 government contracts, and currently, they reportedly control roughly half of Iran’s economy. In September, in the largest transaction in the history of the Tehran Stock Exchange, the government sold a majority of its stake in the country’s telecommunications company for $7.8 billion dollars to the IRGC. Conversely, Chávez has shown an unwavering commitment to placing the means of production of the Venezuelan state in the hands of its people, and not private investors. So much so that Venezuela, as a result, suffers from a lack of foreign direct investment, as foreign businesses fear political instability and potential expropriation as the government increasingly dictates the trajectory of the economy. While Chávez has of course nationalized a host of significant Venezuelan industries and natural resources, the profits are used to support a wide array of social programs and to invest in a sustainable model of long-term growth, which is conspicuously lacking in Iran. Beginning with the 2002 battle over the PDVSA oil company, Venezuelan nationalizations have included major electricity and telecommunications firms, cement, iron and steel plants, as well as banking, mining and food processing industries. As of spring 2007, with the primary goal of achieving a position of national food security, Chávez had appropriated nearly 2 million hectares of land from the latifundistas, out of a total goal of roughly 6.6 million hectares. Half of the land was given to campesinos, 40% to strategic projects, and the remaining 10% to cooperatives. In the midst of Iran’s attempts to accelerate the pace of privatization, independent labor organizations become all the more important in guaranteeing workers’ rights. However, the state of organized labor in Iran is in total disarray. While technically legal under Iranian law, independent unions must receive permission from the state to organize, and accordingly, are quite rare. If a government sponsored Islamic Labor Council already exists in the workplace though, such bodies are deemed illegal. The Workers’ Councils are anything but effective bargaining tools to assure workers’ rights, and many suggest they exist primarily to prevent workers from organizing vital and effective labor representation at the grass-roots level. The International Trade Union Confederation recently submitted a report to the U.N. that lambasted the state of organized labor in Iran. Labor activists there are consistently intimidated, arrested, and beaten for attempting to independently organize for improved wages or conditions. The main tool available to disaffected workers, the strike, is often met with brutal force, sometimes with preemptive arrests, and for years now, International Workers Day has been an object lesson in the repression of free assembly. High profile leaders such as Mansour Osanloo, the president of Tehran’s bus workers’ union, remain imprisoned on completely arbitrary charges of “anti-regime propaganda” and “activities against national security.” Still, there are also many lesser known activists currently being detained and intimidated on a daily basis for campaigning for better wages and working conditions. Meanwhile, workers form the backbone of 21st century Venezuela. Chávez has consistently raised the nation’s minimum wage, which now stands at $447 per month, the highest in Latin America, as well as reduced the workweek from 44 to 36 hours. Workers’ cooperatives and collective ownership of factories have further decentralized the leverage of business over labor, which has been an effective strategy in reducing unemployment and promoting endogenous development, both problems that continue to haunt Iran. Since Chávez came to power, the number of worker cooperatives has grown to encompass 5% of all Venezuelan wage earners. Statistics establish that Ahmadinejad has achieved little success in fulfilling his promise to distribute oil revenues to ordinary Iranian citizens. His continual hand outs to the poor, such as the 400,000 tons of potatoes given away before the June election, are simply attempts to buy political allegiance and do not in any way address the structural causes of poverty that could lead to coherent and extended growth. Although Ahmadinejad did raise the minimum wage in 2006, the ill-timed order only exacerbated already significant unemployment and caused many businesses to go bankrupt, prompting accusations over Ahmadinejad’s unsophisticated economics. His proposed Compassion Fund, designed to provide Iranian youth with cheap loans to cope with the rising costs of marriage, housing, and education, was killed in parliament and only a limited version was able to be enacted. After Ahmadinejad was declared the winner in the June 12th presidential election, with 62.6% of the vote, unprecedented numbers of citizens filled the streets in Tehran to protest the result. Led by the primary opposition candidate Mir-Hossein Mousavi, the protestors, who numbered well into the hundreds of thousands, were met with severe repression by the state. Reports of those arrested range from the hundreds to the thousands, and estimates of those killed hover around 30. The Iranian government banned international journalists from reporting on the protests, forcing them to remain in their hotel rooms, with severely restricted popular avenues of communication, such as the use of the internet and mobile phones. Commentators in the West were quick to celebrate the protests as the next “color revolution” that could eventually bring down the democratic-theocracy that is the Iranian government. But their projected hopes proved premature as the repressive apparatus of the IRGC proved cunningly effective at quelling the protests, which while visible for weeks after the election, slowly tapered out over time. Given the concerns of democracy and human rights that were raised in the aftermath of the election, Chávez’s reaction proves troubling. It seems clear that the Venezuelan leader reacted so determinedly because of suspicions that the protests were largely manifestations of Western meddling. While Washington does not hide the fact that it favors regime change in Iran, the extent of U.S. and U.K. involvement in the protests remains ambiguous, even unevidenced at this point. Supreme Leader Khamenei declared Iran free of such foreign influence, but Ahmadinejad and Gholam-Hosein Mohseni-Ejei, Iran’s intelligence minister, have declared that Western powers played an integral part in fomenting dissent. Many of the 100-some detained protestors awaiting trials have reportedly admitted their collusion with the U.S. and U.K. although the legitimacy of such confessions traditionally deserve to be widely questioned and even discredited. Most frighteningly, three of the detainees have been sentenced to hang for their participation in the protests. Crackdowns on peaceful dissent have been a hallmark of all governments in the Islamic Republic of Iran, and there was already ample legal latitude for the persecution of government critics when Mahmoud Ahmadinejad took office in August 2005. It is the great expansion in scope and number of individuals and activities persecuted by the government that seems to distinguish the Ahmadinejad period to date. The report goes on to detail repression of the women, labor, and student movements over the last two years, and strongly condemns the growing trend of arbitrary arrests, detention and punishment for any challenge to the government. Supreme Leader Khamenei held a partial recount of the election results, which was denounced by the opposition as lending legitimacy to a false result, and in fact, the recount did confirm the initial results, albeit with small irregularities. Even though the light of the opposition movement is slowly being extinguished, the election revealed significant fault lines in Iranian society and politics, and the government surely has taken note of many of its citizens’ displeasure with Ahmadinejad’s harsh and authoritarian direction for the country. Venezuela and Iran both reject a geopolitical order that has been historically dominated by Western interests. While for more than a decade Chávez has rebelled against the Washington Consensus and its free-market fundamentalism, Iran stands opposed to Washington’s seemingly never-ending efforts to establish secular democracies in the Middle East. This rejection forms the heart of their relationship, and the only way to read Chávez’s uncritical support of Ahmadinejad is that he views the Iranian leader as a key ally in the war against imperialism. While both Chávez and Ahmadinejad claim their intentions to distribute their country’s oil wealth to the working class and the poor, Ahmadinejad’s claims of social inclusion and his attempts to redistribute wealth to traditionally excluded members of society are, as we have seen, a mere facade in comparison to the earnest and comprehensive programs undertaken by Chávez. The Venezuelan leader is hallucinating if he believes Ahmadinejad is genuinely working in pursuit of a society of equals. He must decide whether Venezuelan foreign policy is defined solely in terms of its opposition to the West (which, in fact, is the only rational basis for his intimate relationship with Tehran) or if he is intent on naively thinking he can alter Tehran’s convictions. The growing economic relationship of the two nations must be noted, but the only way of understanding Chávez’s support for Ahmadinejad hinges on the belief that Iran’s rejection of U.S. hegemony is more important than the successes or failures of its domestic policies. There are other questions that must be asked of Chávez. Concentration of executive and judicial power, political manipulation, and ongoing accusations of possible media censorship are all trends that must be noted, even if propaganda has often been employed by the opposition as well as U.S. policy makers to counter moves by the Venezuelan leader. Like the Iranian economy, and due to a combination of the global recession and inadequate economic planning that depends too strongly on the export of oil and not enough on budgeting constraints and fiscal discipline, Venezuela has been hit by high inflation and unemployment that undercuts the laudatory successes of Chávez’s social programs, especially of late. Further, following in the footsteps of Iran, Venezuela has begun to exert pressure on labor unions that do not align themselves with Chávez’s politics by requiring the oversight and certification of all union elections by the government run National Electoral Council. Nonetheless, Venezuela is still a much more democratic and free society than Iran. For example, one can weigh the balance of free speech versus the level of intimidation in Venezuela by examining the condition of the opposition. Is the anti-Chávez media afraid to confront and criticize the government for fear of reprisal? To the contrary: the opposition media in Venezuela is the primary proof that there is little fear of repression, with speech and action to a degree that would be considered unconscionable in Iran. These outlets would routinely outclass Fox News and The Weekly Standard with their inflammatory rhetoric. Tens of thousands of members of the opposition regularly rally and parade in anti-government protests in the streets of Caracas and throughout the country. At the least, one can say Chávez has inspired a generation of Venezuelans to become politically active and confident enough to articulate their views. Chávez’s Venezuela is democratic in substance, although a case can be made that he is introducing a tone of incivility, venomous rhetoric and confrontation that may be confounding to some among his very large popular base of backers. On three occasions he has been elected president (98, 00, 06), once defeated a recall referendum (04), survived an attempted coup (02), and successfully revised the constitution twice (99, 09) while one referendum attempt was defeated (07). Ahmadinejad lacks anything like a similar democratic record to match against him, and the nature of Iran as an amalgamation of theocracy and democracy only further complicates the situation. The trajectory of Iranian politics is very much determined by the decisions of appointed or unelected religious elites who play a very strong role, along with Ahmadinejad, in shaping policy. However, what must be asked of Chávez is consistently reduced by the international media to hyperbolic hate-speech against him that fails to contextualize or even try to minimally comprehend his actions within a larger appreciation of regional affairs. Mary Anastasia O’Grady, ranter in residence at the Wall Street Journal, who regularly vulgarizes Latin American issues in order to subjugate them to her extensive neoconservative agenda, is one of these. While hers is easily the most extremist editorial column in America today, she does have her rivals. London’s Economist published such a piece in mid-September that reproached Chávez for promoting a foreign policy giving “top priority…to forging an anti-American political alliance with Iran, Syria, Belarus, and Russia.” The author goes on to accuse Chávez of the unnecessary militarization of South America without acknowledging the new U.S. presence at seven Colombian military bases, the lurking presence of an exhumed Fourth Fleet to be posted in South American waters, or the all too consistent history of U.S. intervention in its “back yard” of Latin America. Similar polemics frequently appear in the mainstream media, irrespective of the outlet’s ideological loyalties, that perceive Venezuela as if it existed in a vacuum, picking fights for the sheer thrill of it. But perhaps they do have a small point here – one has to ask the question: Why does President Chávez risk his dignity and reputation by squandering his good name and political standing by picking too many fights on too many issues, in a process that inevitably leaves him weakened? Chávez’s support for Iran is as uncritical as the routine nature of the condemnation of their alliance emanating from the U.S., a host of its Latin American neighbors and many overseas. There are many that believe that the anti-imperialist struggle is one that must be upheld, but not necessarily as dogma or screeching rhetoric. Therefore, it would be prudent on Chávez’s behalf, and certainly disarm many of his detractors, if he were to reconsider his ties to a government that certainly has the blood of students and other dissenters on its hands, and is personally awash with a sense of global adventurism that does not contribute to the advancement of genuine peace and reconciliation. Furthermore, serious doubts can be raised about Ahmadinejad’s economic development model that upholds principles of equality and redistribution of wealth far more in its rhetoric than its action. By aligning himself with Ahmadinejad, Chávez allows his detractors to continue to accuse him of being unwilling to find a peaceful path or concessional attitude in dealing with the U.S. Such a revision of attitude would not necessarily call for a sacrifice of Chávez’s principles, but only for the crafting of better manners and more self-control. While his enemies may point to his sometimes boorish excesses, they should not be allowed to omit any reference to his progressive policies that have achieved major social successes in making Venezuela a far healthier society, even at the cost of gratuitous internal animosity. Perhaps the Venezuelan-Iranian relationship should be understood as a strategic alliance that should be maintained as long as it produces real benefits for Caracas, and not as a sentimental arrangement that caters to a fractured agenda, frightening away would-be friends while not advancing symmetrical interests. 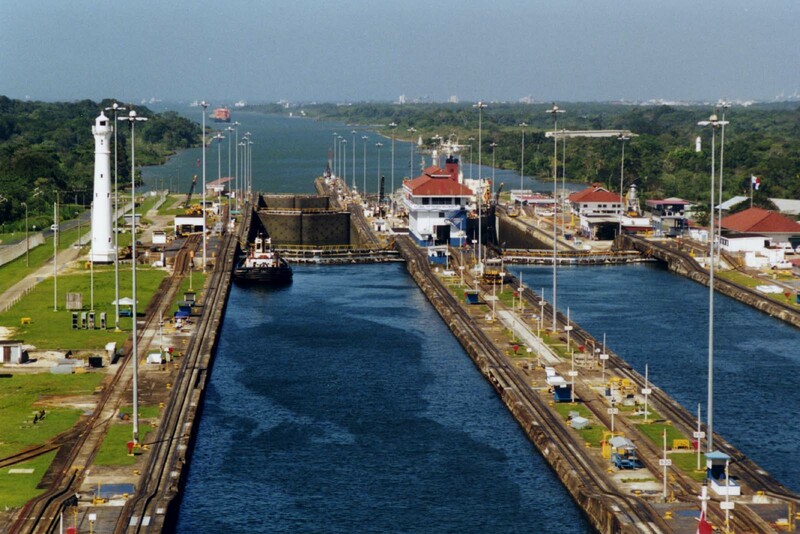 Panama’s Pivot: Canal Expansion as a Catalyst for Social Stimulus? July 12, 2016 COHA Comments Off on Panama’s Pivot: Canal Expansion as a Catalyst for Social Stimulus?